Decidedly, taking one's leave in the world of live poker has become a trend in 2014. Sam Holden has decided to stand back in order to continue his studies. In March of this year, the Italian player Filippo Candio decided to retire from this universe because of problems with the press. As a reminder, Candio finished in the 4th place of the Main Event of the WSOP 2010, and won five major events, among which four occurred in Italy. After the November Nine 2010, it was the turn of one of the November Niners of the WSOP 2011 to bow out, or more precisely to take a step back on poker tournaments. According to the young 25-year old English, the reason of this withdrawal is the envy to carry on with studies in philosophy in the University of Kent, in the United Kingdom. Sam Holden has made this announcement in a blog, and admitted having passed four busy years in poker. Full-time poker allowed him to travel, meet people, being popular, but especially win a lot of money. From 2010 to 2013, the British won two events of the Coral Late Night Poker in 2011, and the Caesars Cup Invitational of the WSOP APAC 2013. He counts also about ten paid places in major events. 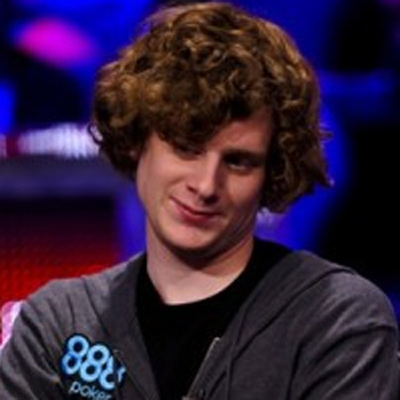 In addition to glory, Sam Holden won gains of around $1.2 million in live tournaments, among which $782,115 for his 9th place in the Main Event of the World Series of Poker 2011. The retirement of Sam Holden will be only partial, because the player intends to participate in few tournaments like the UKIPT. Note that Sam Holden is already qualified for the stage of Nottingham, in May from 7th to 12th 2014.